Our new slogan sounds a bit like “step by step” doesn’t it? Well… that’s basically what we were going for. DECENT, helping you every step of the way to turn your decentralized ideas into real-world ready projects. 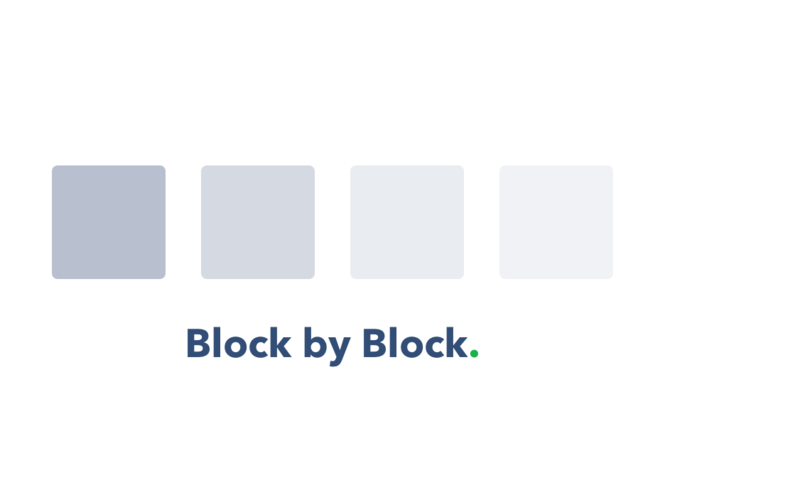 But first, let’s explore the team and community efforts that ultimately led to the new slogan, “Block by Block”, and why we, at DECENT, think it’s a perfect fit. “Life, Trust and Future” (we love the idea of trust and future). “Welcome to the New Digital World” (no doubt we are entering a new digital world!). “Helping build a better future, one block at a time”. After numerous internal brainstorming activities, we kept coming back to this “one block at a time” idea. It really resonated with us, so we decided that we needed to find a way to incorporate this, the idea of helping people every step of the way to a shared vision of the future. And this is where “block by block” was born. We needed a slogan that was straight to the point, memorable, and reflected our company message as a blockchain provider where anyone could build their projects on top of our blockchain platform, DCore. We needed a way to show projects, businesses and our community that we would be there with them through this journey. We believe our slogan “Block by Block sums this up perfectly. Using something so short and sweet allows for versatility in our message, replicating the versatility of our blockchain technology DCore. For example, with the use of a short tagline in front like “DECENT, providing the tools to build a decentralized future, block by block” we could target an entire audience of developers. Or for businesses interested in DCore, we could use “Helping your business get on the blockchain, block by block”.